Album related. Rest of World Super economic rate « books and brochures »This rate is super economic but the routing is very long (1 month see more). Priority Letter Rate. Economic letter rate. EAN Non applicable. DYLAN DOG # 100. "The story of Dylan Dog". Serie Diabolik Fuoriserie. Data di pubblicazione 2016. LIMITED AND NUMBERED EDITION 500 COPIES. DASH SHOT IN MILAN. Egmont 1995. Numbered Copy #73.437 of 80.000. 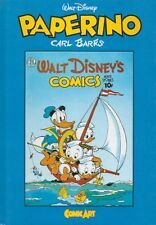 Comic in fine condition, Italian text. < span class = "notranslate" > IF 021. 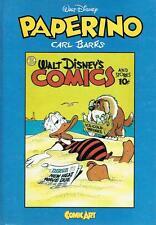 HISTORIA DE LOS COMICS ISSUE NUMBER 10 GOOD CONDITION BOX 2. HISTORIA DE LOS COMICS ISSUE NUMBER 13 GOOD CONDITION BOX 3. MICKEY DIARY DOUBLE NUMBER 2619-2620 AUGUST 2002 TITEUF HAPPY NEW YEAR GOOD STATE COMIC. SEE OTHER SALES GROUP ORDERS. BD IN FRENCH VERSION. QUALITY / EDITION / YEAR: SEE PHOTO. THE CURSED NUMBER. RIC RATTLE T67. EO May 2003. WITCHBLADE SPECIAL - ISSUE COLLECTOR'S EDITION. Announces if c?. is the case. Type Comic VF. MICKEY NEWSPAPER DOUBLE NUMBER 2584-2585 DECEMBER 2001 HAPPY NEW YEAR GOOD STATE COMIC. SEE OTHER SALES GROUP ORDERS. BD IN FRENCH VERSION. QUALITY / EDITION / YEAR: SEE PHOTO. Superman and Santa Claus - special issue. WHITE ROBERTIA. 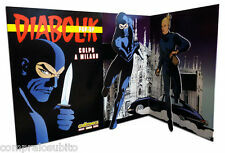 DIABOLIK REPRINT. Number < span class = "notranslate" > AS PER TITLE. 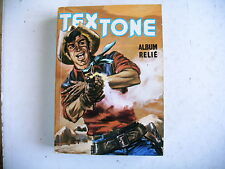 TEX NEW REISSUE. NUMBER AS THE TITLE. Condition Like New. EDITION BONELLI. NUMBER AS THE TITLE. Publishes the # 51 of the II series. Hulk at the hidden country. Personnage Hulk. REAL OBJECT SCAN. SPIDER-MAN MARVEL. COMIC STAPLE BOUND. NUMBER AS THE TITLE. In Swedish language. Comic - STAR WARS. 1985 - nr 1. 8£ rest of the world. In Swedish language. Comic - STAR WARS. 1987 - nr 1. 8£ rest of the world. EL VIBORA Nº 299 - 300. Autor VARIOS AUTORES. Fecha de publicación 2004. Título EL VIBORA. Formato REVISTA. EAN 8414090102544. Páginas: 100 cubiertas. Si eres de otro pais que no sea España, los portes no son los mismos. < span class = "notranslate" > SC016 CAP. YEAR AND NUMBER AS PER TITLE. RARE magazine < span class = "notranslate" > SPANISH LARGE FORMAT that ADVERTISES on the BACK COVER of the FIRST ISSUE of TEX Output IN SPAIN for zinc. NIKELES FEET. Nom de publication Les PIEDS NIKELES. Éditeur Les Beaux Albums de la Jeunesse Joyeuse. Date de publication numéro 11. Numéro de publication 11. HAVE THE GOOD LIFE. Editorial BONELLI. DYLAN DOG MAXI. < span class = "notranslate" > SC0025 CAP. Editions Moulinsart. Tintin Children's Book, Discovering the numbers. This small and fun educational book from the series Images in action will delight the little ones. Release date - 2018. So that the kids of house learn the numbers with our hero reporter! Manufacturer: Hachette. Children's Book of The Smurfs, The numbers. Discover the numbers and count the objects! French language. We do not mark any orders as "gifts" or with lower prices than those invoiced / paid; these actions are prohibited under national and international law. EDITION BONELLI. SCO21-SC025 < span class = "notranslate" > CAP. NUMBER AS THE TITLE.